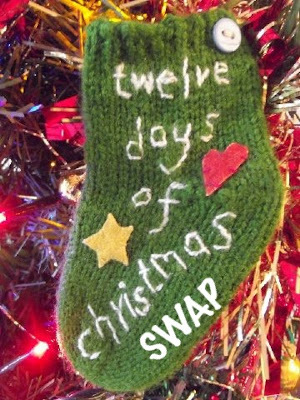 I signed up to the Twelve Days of Christmas swap, organised by Jo at Through the Keyhole who was inspired by a swap she had with a friend last year. 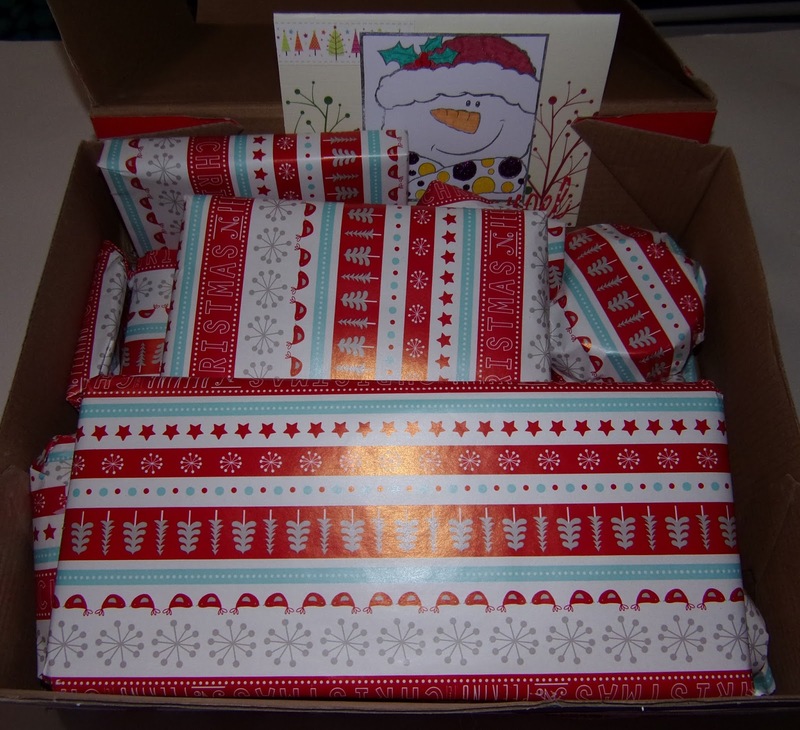 The ideas was to provide twelve gifts, one to be opened every day after Christmas Day. When I read about it, I thought it was a lovely idea and signed up. I was partnered with Sally from Crafty Northerner and we did the usual emailing to find out about each other and looked at blogs too. 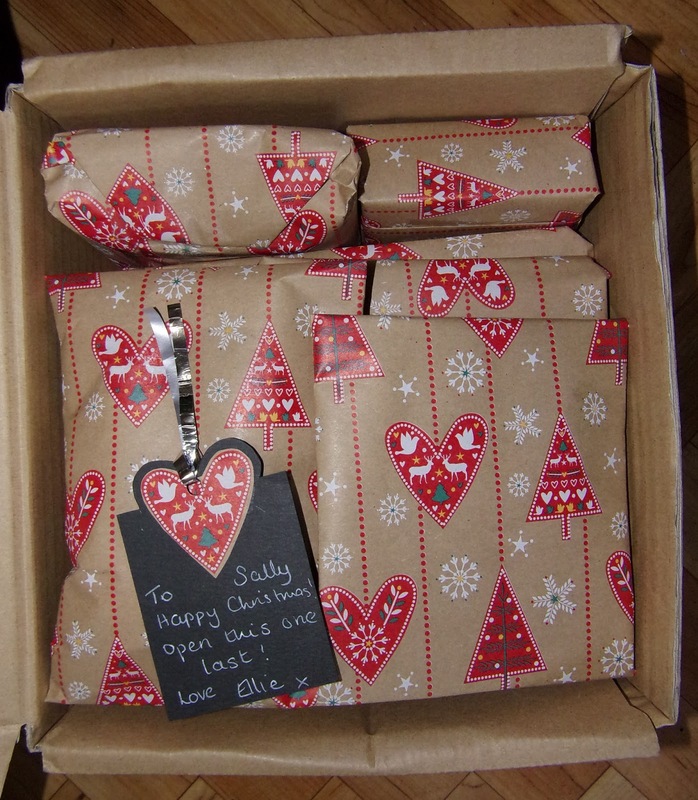 Here is the set of gifts I sent to Sally, which I really hope she likes. I think it is a really nice way to continue Christmas, right through to New Year. 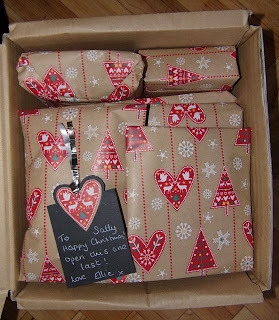 Thanks to Jo for organising and a HUGE thank you to Sally for being a super swap partner. I shall post about the gifts over Christmas. Thanks, Tracy. I love the idea of this swap and the way it is linked to ancient traditions too, with Christmas being celebrated for twelve days. What a lovely idea. I am looking forward to hearing about/seeing both our your gifts. Thanks, EC. 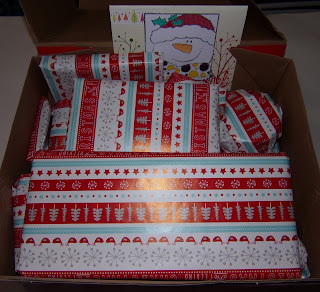 It is a lovely idea and I am really looking forward to opening the gifts. It will also be interesting finding out whether I've chosen well for Sally. Thanks, gilly. 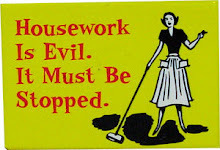 I think it's a lovely idea for a swap, isn't it? I hope you enjoy the extended Christmas season too. Thanks, Amy. It is really exciting, but waiting is the most difficult part!